This reading group guide for A Step of Faith includes an introduction, discussion questions, and ideas for enhancing your book club. The suggested questions are intended to help your reading group find new and interesting angles and topics for your discussion. We hope that these ideas will enrich your conversation and increase your enjoyment of the book. Alan Christofferson is a broken man. 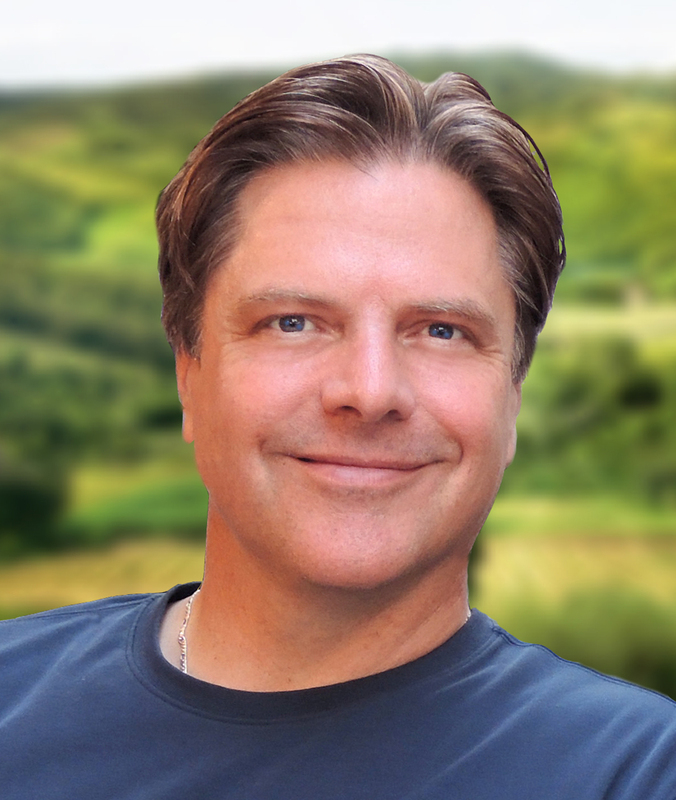 Following the sudden death of his wife and the betrayal of his former business partner, the once-successful advertising executive leaves everything behind to embark upon an incredible cross-country journey—on foot. Carrying only his backpack, Alan is determined to walk every step from Seattle to Key West. 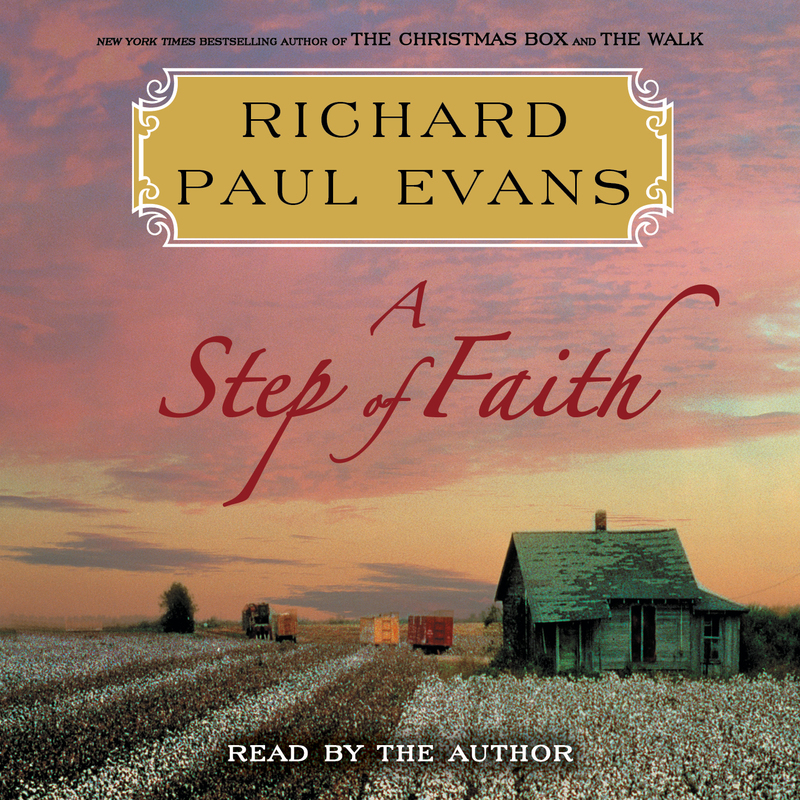 A Step of Faith is the fourth book in Evans’s bestselling series and picks up directly after the shocking events of The Road to Grace. As he walks, Alan meets a number of people whose own stories help him come to terms with his grief and anger. But a life-changing event threatens to bring an end to his journey, and Alan must decide what is truly most important to him. 1. Alan writes in his diary, “Maybe, if we just accepted our deaths, we might finally start to live.” How is this sentiment echoed throughout the novel? Consider some of the people Alan meets, like Dustin, who is preparing for doomsday, and Paige, who works in hospice care. How are various characters living their lives based on their acceptance or nonacceptance of death? 2. Of his mother’s death when he was eight Alan says, “Some might say that she jinxed herself, but I don’t think so. My mother wasn’t a pessimist. I think she knew.” He later reflects on a conversation he had with McKale and her request to Alan to remarry should anything happen to her. Do you think McKale may also have somehow sensed that she was going to die? Have you experienced people in your life having similar premonitions? 3. When Falene shares the news about Kyle, Alan realizes that he is actually sorry to hear it. Falene says she believes he deserved his fate. How is Alan able to feel compassion for Kyle? Do you think he is right to feel this way? Or do you agree with Falene? 4. Why is Alan blind to Falene’s feelings for him until he reads her letter? Falene writes that “the depth of love is revealed in its departure.” What does she mean by this? Do you think Alan’s feelings about Falene would have changed without her letter and move to New York? What else influenced his feelings toward her during his journey? 5. Before Alan’s surgery, Nicole and Alan’s father are very nervous. “The truth was, I was the least worried of all of us,” Alan says. Why is Alan able to remain so calm? Do you think he just has a feeling that he will be fine, or that he has become more at peace with the idea of his own death? 6. Why is Alan’s father so against Alan returning to his walk? Given what you learn by the end of the novel, do you think his father’s reasons were more complicated than you previously believed? How has their relationship changed over the course of the series? 7. When Alan spends the night at Pastor Tim’s church, they discuss the existence of miracles. “We live in an age of unbelief, but I promise you, miracles still abound,” Pastor Tim says. Later that night Alan reflects on their conversation and determines that he “had prayed as sincerely as a man could for McKale’s life to be spared,” to no avail. Do you think his view of miracles might have changed by the end of the novel? If so, what would have caused this shift? 8. What was the significance of the scene in which Alan helps the paramedics attend to the woman who says she is having a heart attack? How might this event have affected Alan? 9. In Missouri, Alan, a longtime ad man, makes note of the many whimsical restaurant names and slogans he sees. How else does Alan display and use his “adman” background during his journey? How else does his career experience influence the way he looks at the world? 10. When Alan first encounters “Master El,” the two have a conversation about how people interpret the Bible. Before you learned more about El and his group, did you agree with anything he was saying? Did any part of what he said to Alan during dinner ring true or seem plausible? Or was he completely wrong? 11. Why did Alan choose to accompany El to his compound despite his suspicions about him? Did this seem in character for Alan? El tells Alan that those “most susceptible to mind control are precisely those who don’t believe they are susceptible.” Why might El think this? What did you think about this section of the novel? 12. Do you think that if Alan’s feelings for Falene hadn’t developed that he may have chosen to be with Nicole despite his conflicted feelings about her? Given his revelation about wanting to share his life with someone, do you think he would choose to settle down with someone he wasn’t fully in love with rather than spend his life alone? 13. Near the end of the novel Alan begins to believe that “perhaps these detours are my journey. No matter how much I, or the rest of humanity, wishes otherwise, life is not lived in smooth, downhill expressways, but in the obscure, perilous trails and back roads of life where we stumble and feel our way through the fog of the unknown.” Discuss this passage. How does this theme resonate throughout the novel, and, if you’ve read them, the other books in the series? Can you think of a time in your life when you had a similar realization? 14. Have you been to any of the towns or sites that Alan visits throughout the novel? What did Alan’s general impression of the southern United States seem to be? Did his journey make you interested in exploring any new places for yourself? 15. If you had to use only three words to describe this book, which words would you choose? 1. While Alan isn’t a huge fan of Elvis’s music, he thoroughly enjoys his visit to Graceland. If you’re more partial to Elvis than Alan is, create a playlist of his music for your next book club. If you’ve been to Graceland, bring in your photos and souvenirs to share with the group. Or have an Elvis-themed dinner; there are a number of cookbooks containing recipes of his favorite dishes available from amazon.com and other bookstores. 2. Following in Alan’s footsteps, plan a rambling walk with your book club (pick a day with a sunny forecast). Perhaps there are some landmarks in your town you’d like to get a closer look at. Or find an out-of-the-way grassy spot that’s perfect for a picnic. 3. Share with the group a memory of a trip that you took—no matter how far away or nearby—that changed your life in some way. Were you sightseeing when a revelation hit you like a ton of bricks? Did you sample your favorite cuisine for the first time? Did you meet someone who shared valuable knowledge with you? Was it simply the most fun you’ve ever had?